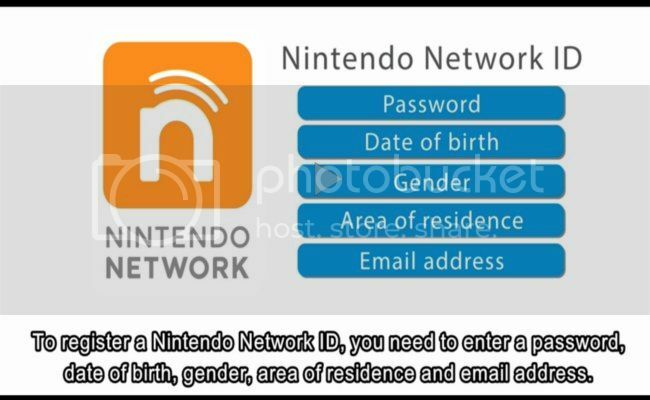 Setting up a user account will be one of the first things to do when starting up the system, and it'll be followed by a Nintendo Network ID; it's the ID that will drive interactions on Miiverse, eShop purchases and Wii U Chat. Perhaps most importantly, eShop purchases on the ID will be accessible by all user accounts on the system, so buying a game while logged in on one account won't stop others jumping into their own user settings and playing the same game. The Nintendo Network ID is intended to work across all Nintendo platforms in future — we imagine a 3DS update will introduce it in good time — and as suggested before it'll also work on related services on computers and smartphones. That'll open the door for Miiverse via various browsers, or potentially managing eShop purchases while away from Wii U or 3DS. So, 12 user accounts and Nintendo Network ID download purchases that can be played across them all: are you pleased with this announcement? You can also check out the translated video, below. I also love the idea that your Nintendo ID can link with other online services, like Orgin or Steam. Such a great feature. Can't wait to try all of this out. So it sounds like there still will be a friend code, but it will be done like the 3DS. Awesome! 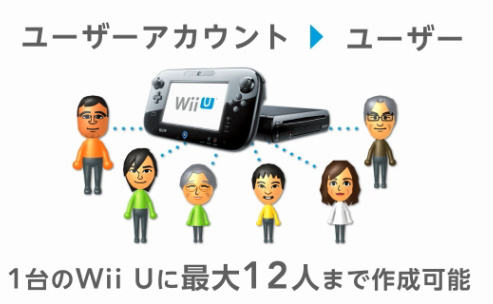 Can't wait to get a wii u! did they ever say that there won't be Friend Codes? Seriously, Nintendo, nobody likes them. Seems like the accounts will be linked to a Email adres rather than a numerical code this time. Please, write an article about Wiiware & Virtual Console system transfer. @Robb There you go. Missed the Nintendo Direct. Thanks for that! @HarmoKnight What do you think this whole Direct was about?! At least read about it before assuming what it does and doesn't contain. We've now added some translated videos to the articles so far, provided by Nintendo UK. Love the idea of a single-account purchase allowing multiple accounts to play the game instead of just the individual account that bought the game. That, to me, is how game downloads should be done. Moving on, 12 accounts is a hefty amount, so that should fit everybody in a family. Twelve accounts is more than enough to handle all the snakes in my head. One of the reasons I have for purchasing a WiiU is so I can finally link those Virtual Console purchases I made (on Wii) to an account. That way they are "backed-up" in a sense, in case the console breaks down (and can hopefully be redownloaded to a new WiiU). So when they say Friend Code, I assume he's trying to explain to people new to account systems but have used Nintendo consoles before that you'll be using each other's Account ID to register friends instead of a numerical code. So it's almost exactly like the PS3 set-up? Separate WiiU accounts, and separate online accounts? That's not a mocking sarcastic copycat comment dig at Nintendo, I'm just asking if they are as similar as they seem. I like our PS3 set-up. The new PSN store, well that's another story. 12 User ID sounds good to me this is great news. It's great to have independent saves for each user in such a comfy way. If the savegame transfer from Wii to Wii U is only possible per SD card it seems to exclude data for some games. ...File a police report...send it in...are you hearing yourself right now? You sound like an old man dude. And too complicated? It's simplier, if anything. Everything is shared and linked to an email account. There. What was so complicated about that? You do that all the time when you sign into a website. The web sige is there for everyone to use, but you can sign in and have your own account. I wish a Wii channel called ID channel (or something like that) where we can transfer our download to Wii U without lose our games in Wii, or if we lose our games then transfer all our games without limit times between Wii and Wii U so we can continue buying games in both systems. 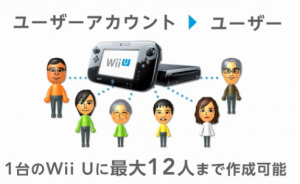 Ah, also the possibilities to share our Nintendo Channel data in our new ID profile in Wii U. And... Hacked consoles that FORMAT data (do you even know what to format is)? What are you talking about? The 3DS is pretty hard to mod, i can assure you the Wii U will be as robust. Interestingly, it seems an Achievement/Trophy/Reward system won't be coming to Wii U, at least at launch. What do you think of that? Hallelujah! Here's hoping it comes to the 3DS so I may actually be tempted to purchase some full games digitally. Gah! I can't wait... Just 2 weeks left. Anyway, 12 accounts? Pretty boss. I won't need any more than 4 though. My parents won't play it. My brother will. I will. And maybe I could get my girlfriend to play if she ever comes over to my house. @EvisceratorX I was serious... Why is it people think I'm kidding when I'm not, and when I am joking, people get defensive? It is great. I love how you can share the downloads but each person has a personal save file and settings. Whenever my bro and I play RE5, he always has to pause to change the aiming from "inverted" (how I use it) to "normal". Things like that could be easily avoided. And talking about that, what happens with multiplayer games? Do I log in with my user and then select the others within the game? @HarmoKnight Maybe its because you said you'd file a police report for a bunch of digital games? Reminds me of that episode of Big Bang Theory were Sheldon calls the police when his WOW account was hacked. I like that games are sharable between accounts and makes me hopeful they'll do that with the 3DS's e-shop. So you have one Nintendo network ID for the system and not for each account? @HarmoKnight If you're that paranoid about it, wouldn't you rather have an account system so that you can easily get all your games back if you lose them? Would you really want to go through that ridiculous process of filing a police report and sending that to Nintendo? Doesn't seem to answer the main question, if we lose/break our Wii can we just buy a new system, register our Nintendo ID and get our purchases back? That scenario seems to have been avoided and it's the main reason not to like system tied purchases. Had 2 Xboxes, I have a great family that loves playing on weekends, Dead ISland, Black Ops (regular, zombies)... So I had the main gold account and would install games in each with my master. Than every time there were DLC's I would sign in on the 2nd Xbox ( that I rarely used) and download content. That allowed family to share with their live accounts. I'd go back to my bedroom Xbox and sign in and get the content allowing me to play as well. Now this was great, had a family that could share as I seem to be reading here except they miss the part where a family needs multiple consoles.